We give because God gives to us first – love, forgiveness, mercy, healing and new life through Christ. We give so that others may experience God’s love firsthand and to improve the quality of life for the whole community in the Lodi, Dane, and Lake Wisconsin areas. We give and lives are changed for good through the collective generosity that funds the ministries and initiatives of First Lutheran Church. When you give, you exercise your faith in Christ, love of God and joy in serving others. Basic Biblical Foundations for Giving. Care of Creation: Love God, Love Neighbor and Care for Creation, Five Principles in Caring for Creation, and A Beloved Earth Community. Ways to Give. 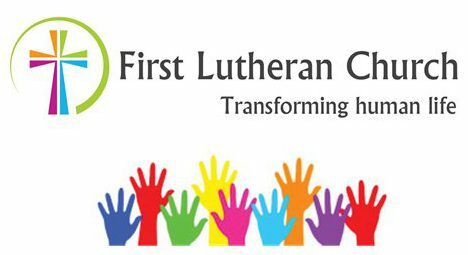 Would you like to help First Lutheran Church serve its mission, to bring people into a relationship with Jesus Christ and grow in the Christian faith? If so, here are some ways for you to help. A Financial Pledge: Each fall, First Lutheran Church begins its process of assessing its financial health to discern mission capacity for the coming year. A vital part of that process is its invitation for its members and affiliated nonmembers to make a formal pledge of their giving intentions. Please consider making a formal pledge to First Lutheran Church. Pledge cards are always available in the church office and online. Estimate of Giving Cards for 2019: Pledge via a commitment card (pick up on during worship on Sunday morning or by going online and selecting a recurring weekly, bi-weekly, or monthly gift.) Or, complete an Estimate of Giving Pledge online here. Give at the weekend worship services at First Lutheran Church. You can give using the envelopes found in the pew racks or from your personal box of giving envelopes for the year. Please send a request for giving envelopes to execmin@firstlutheranlodi.org with your full name, main phone and email contact, and mailing address. Checks can be made payable to First Lutheran Church. Use your bank’s bill pay feature. You can utilize your bank’s bill pay service to have checks automatically cut and mailed to First Lutheran Church. Electronic Online Giving. A convenient and secure way toÂ provide consistent financial support to our church. Electronic donations can be made by checking, savings,Â credit card or debit card.Â This safe and flexible option is the simplest way to give. Stock Transfers: Some prefer to contribute to First Lutheran by way of the transfer of stock shares. By gifting stock to the church, capital gains taxes may be avoided. Please contact the church office for more information. Real Estate or vehicles: The church is capable of receiving gifts of property, such as real estate or vehicles. Such assets will likely be sold and the proceeds will be dedicated to the church’s ministry. Again, please contact the church office for more information. Electronic Funds Transfer. This is a flexible giving option that allows you to set up monthly or bimonthly gifts to First Lutheran Church. If you are currently giving on a weekly basis, you will no longer need to write out 52 checks a year or prepare 52 envelopes. Even when travel, illness or other circumstances prevent you from attending services, the ministries of FLC will continue to receive your contributions on an uninterrupted basis. Pick up an authorization form to become an electronic giver by visiting the church office or request one by emailing execmin@firstlutheranlodi.org. Donate from your smart phone. First Lutheran Church now offers a mobile version of our online giving page to make it easy for you to give anytime from your smart phone. Simply scan the image you see here using your phone’s QR code reader. First Lutheran Church Endowment: First Lutheran Church is blessed with a separately incorporated foundation which operates as an independent extension of the church. It receives gifts of all kinds, which are held in an endowment fund and managed carefully and professionally. Over the course of time, the fund has grown while, at the same time, substantial amounts have been disbursed to support missions and unique needs not anticipated by the church’s annual budget.